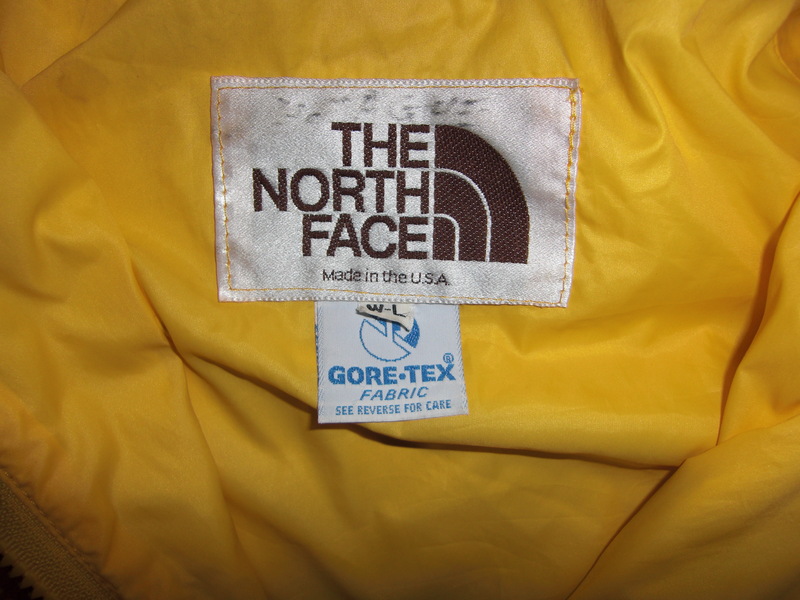 Vintage The North Face Brown Label Fiberfill II Coat. 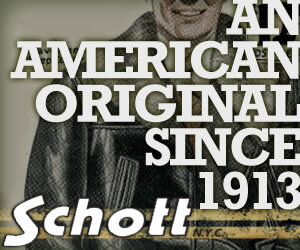 Virtually the same pattern as their iconic down coats with a Fiberfill insulation. Not nearly as poofy, but equally as warm. The beauty of Fiberfill over down is there’s no feathers to come spewing out! reinforced stitching at stress points. This coat has the smaller non-embossed snaps, which I believe predate the embossed. Estimated mid to late 70s production. 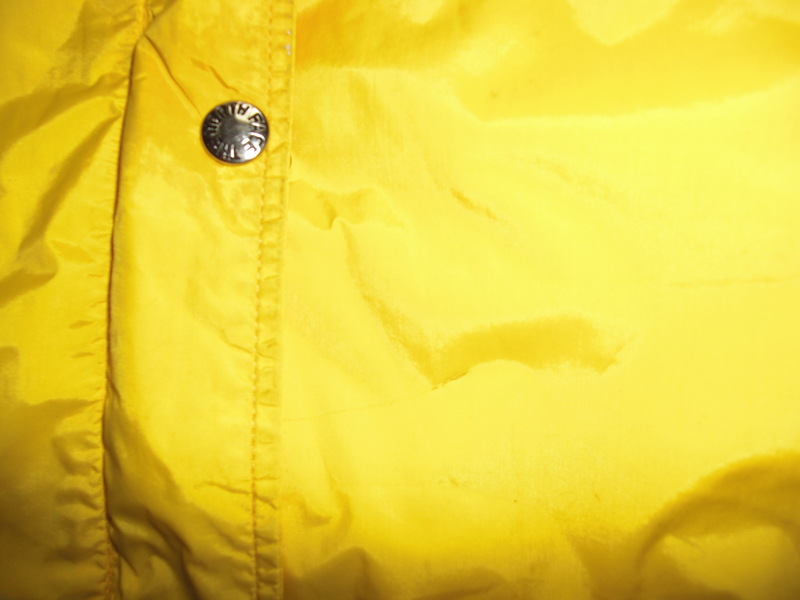 This North Face Gore-Tex jacket is quite the piece. 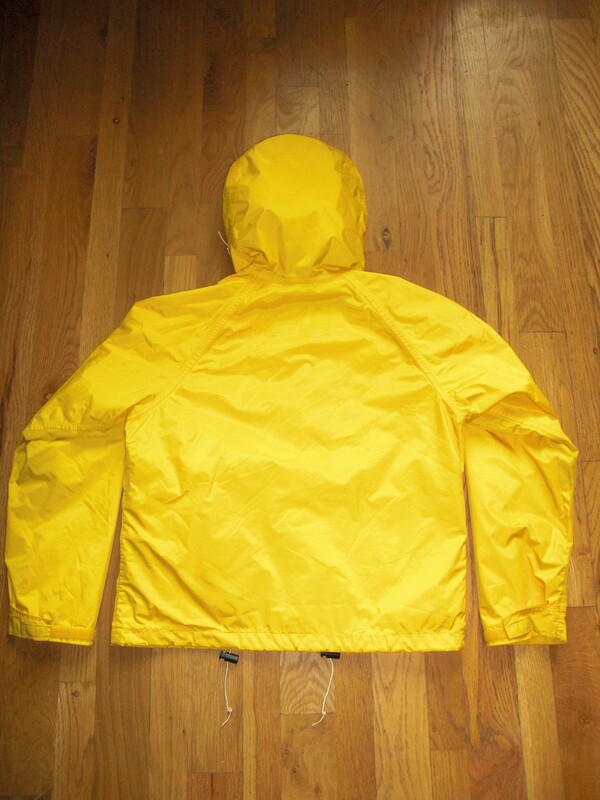 Full Gore-Tex outer and nylon inner lining. It’s as yellow as a pvc rain coat but rest assured its not. 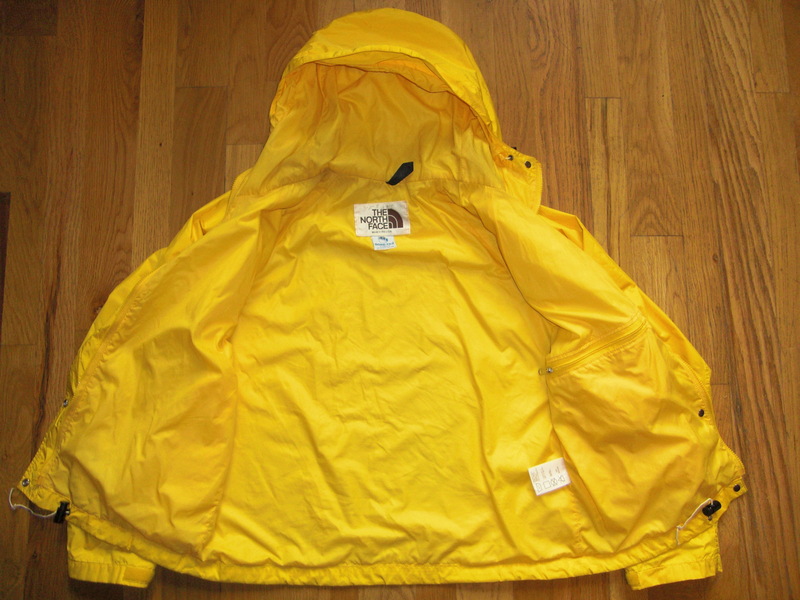 Very stylish and still functional as a windbreaker, the Gore-Tex has lost most of its repellent properties but could be treated with an aftermarket treatment if one so desired. The label boast the remnants of the former owners last name in faded permanent marker. 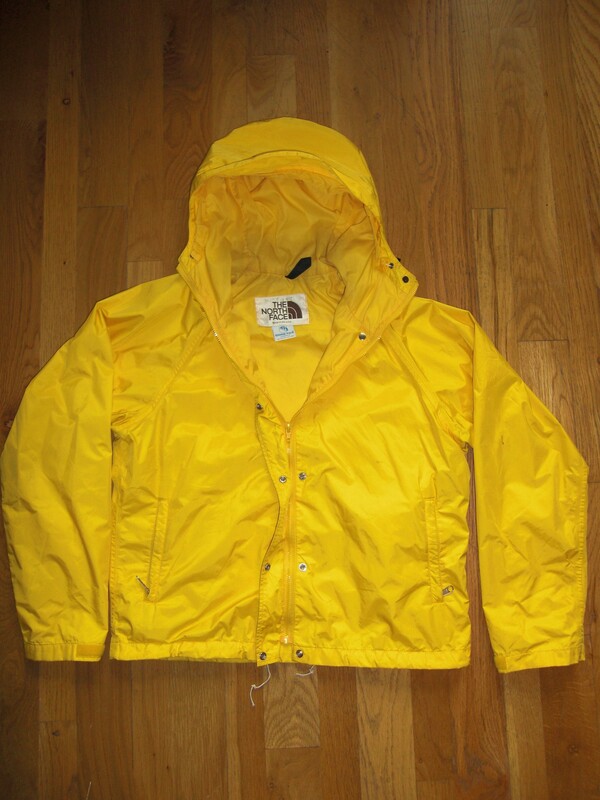 and from the W-L tag it’s assumed a women’s large but it fits like a short mens medium as well (see measurements). 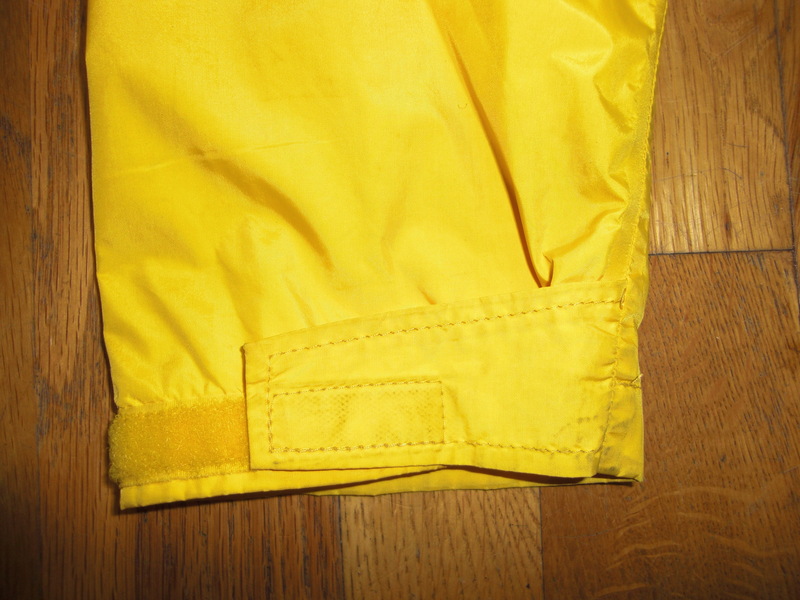 Two-piece hood with compression over the brow and 2.5 inch bill independent of draw string.